Potassium is an essential element. It is essential for nerve and heart function. Potassium is depleted in aquaria. Therefore, the potassium concentration should be regularly reviewed in the laboratory. 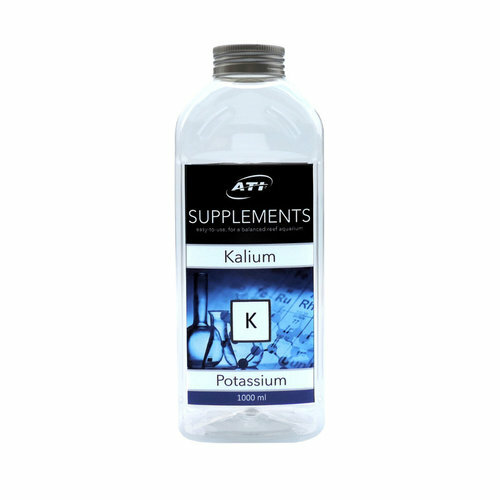 The targeted Compensation is best with our high-purity potassium supplement. 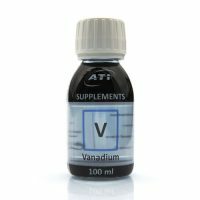 Vanadium is essential for almost all organisms. It is a co-factor of enzymes, but it is also involved at autocatalytic and regulatory processes in cellular metabolism. Cobalt is for many algae, bacteria and animals essential. It is involved in a variety of cellular processes and is part of the Vitamin B12.